NOAA R/V Gloria Michelle, Caught on Film! On May 5th the crew and scientific party were visited by a film crew from the BBC program Horizon. The film crew consisted of the Producer (Peter Oxley), a sound technician, a camera man, and a second camera operator who was on a small lobster boat. 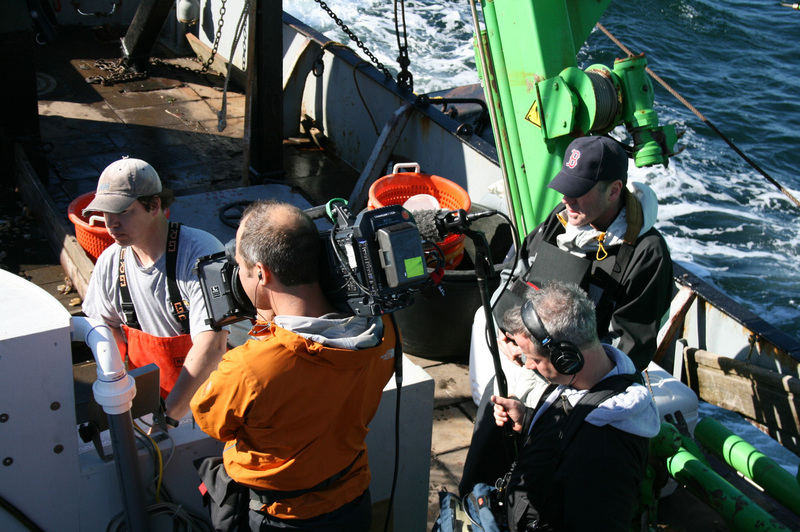 NOAA Corps officers Chris Briand and Carl Rhodes aboard the Gloria Michelle at the time of the filming. The smaller vessel tailed the Gloria Michelle and took footage from that vantage point during several trawls while the camera crew and the producer set up shots on board. 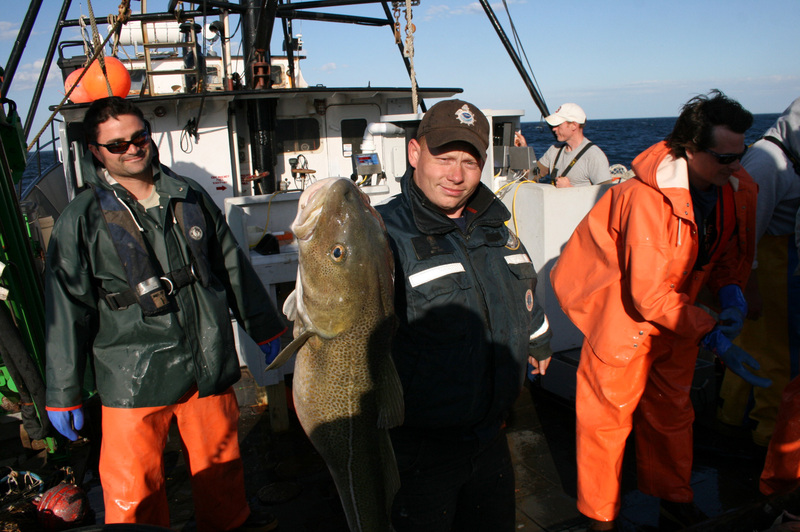 The BBC film crew was invited on board by the scientific party from the Massachusetts Department of Marine Fisheries. A 7 minute segment about surveying the ocean will be aired sometime in October on the BBC.